Guarantee you will remember this par 3 for a long time. A very impressive par 3 that plays its true length at all times. From the raised tee the first shot to the green leaves little room for error. A series of large bunkers will scoop the poor tee shot, whilst a number of greenside bunkers sit left and right of the long narrow green. Out of bounds on the left, a raised platform on the right with a couple of large trees for that extra degree of difficulty. 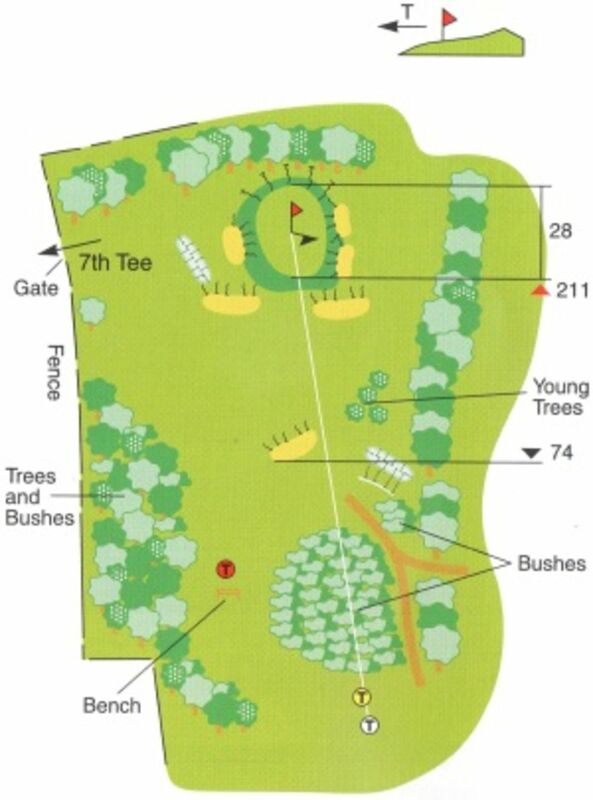 Any shot through the back of the green leaves a tricky chip, thats if you have avoided the small trees and shrubs. The green slopes from front to back and towards the rear of the green from back to front with a couple of subtle borrows to boot.